The Crime Stoppers program began in Ahoskie in 1988. This program pays rewards to citizens whose anonymous tips assist law enforcement in solving area crimes. Crime Stoppers operates entirely off of private donations and fund raisers organized by the Ahoskie Police Department. Without citizen donations and thier participation in our functions, the program could not operate. Crime Stoppers serves the community as a whole by enabling crimes to be solved which might not otherwise be solved without the information provided to law enforcement by private citizens. The community benefits through the return of stolen property as well as by the arrest and incarceration of burglars, drug dealers and other criminals. Additionally, citizens are encouraged to be aware of possible illegal activities in their neighborhoods. Crime Stoppers is a deterrent to crime in Ahoskie, making the city a better place in which to live through the involvement and cooperation of its citizens. The Crime Stopper program provides a way individuals can assist in solving crimes without having their names known. Rewards are paid through area banks. You never have to come to the police department! We never ask your name. You will only be known to us by a department assigned number. Many crimes have been solved from information provided by concerned individuals. Recovery of stolen property, arrests of burglars, drug dealers and other criminals are a direct result of information provided by private citizens. 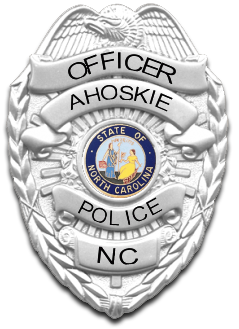 This program provides a deterrent to crime in Ahoskie making the town a better place in which to live. It also encourages citizens to be aware of possible illegal activities. The rewards are funded by private donations and contributions. Without these private donations Crime Stoppers could not operate. No government monies are used. No money is used for paid employees. Your support is needed and appreciated. To make a monetary donation or if you have an idea for a fund raiser for Crime Stoppers contact Chief Troy Fitzhugh at (252) 332-5011.